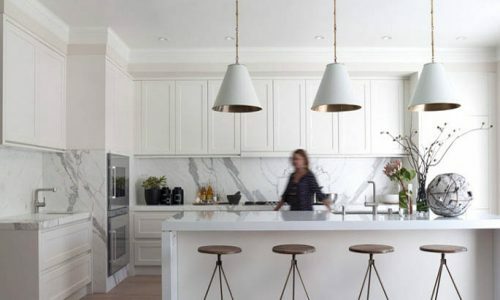 Many customers worry that granite worktops will be difficult to install, messy or delay their build or renovation project, but nothing could be further from the truth. Installing a new kitchen worktop, or bathroom vanity is the final step in completing your dream renovation, so we understand why you want to make sure it’s perfect – and get it done on time, as you can’t cook dinner on an empty frame with no stove! Below you’ll find an outline of the process we go through to install a granite worktop. As a full-service stone specialists, we order stone, cut and finish it in our Surrey factory, transport it and install it ourselves, so if our team say we’ve got it and we can do it, you know it’ll be done on time – no mysterious problems at the factory or supplier delays. On your first visit, we’ll discuss timings for your particular project. We’re accustomed to working with and around other trades across the UK, so if you’re installing a new granite worktop as part of a larger kitchen remodel or a new build project we can fit in with other timelines. We need a certain amount of notice, however: it takes us 5 day from templating to installation but we’ll need to book you in ahead of time. If we need to order a particular stone for you, this can take longer, typically up to 8 weeks. We’ll discuss options with you, including finish, edging and the exact shape you want. One of the advantages of stone worktops is that they are incredibly tough and durable. The downside is that they can’t easily be trimmed to fit during installation. This means that your worktop will need to be cut to fit ahead of time. Our team will make a precise and accurate template of your space and use this to make your granite worktop. UK homes are often older, with 1 in 5 being more than a hundred years old, so we don’t make any assumptions about the space. We’ll also need to know exactly which sink, taps and stove you’ll be installing so we can cut holes for them to fit exactly. As we cut, shape and finish all the granite worktops we install in our own UK-based workshop, we are able to offer a lot more flexibility than other installers. 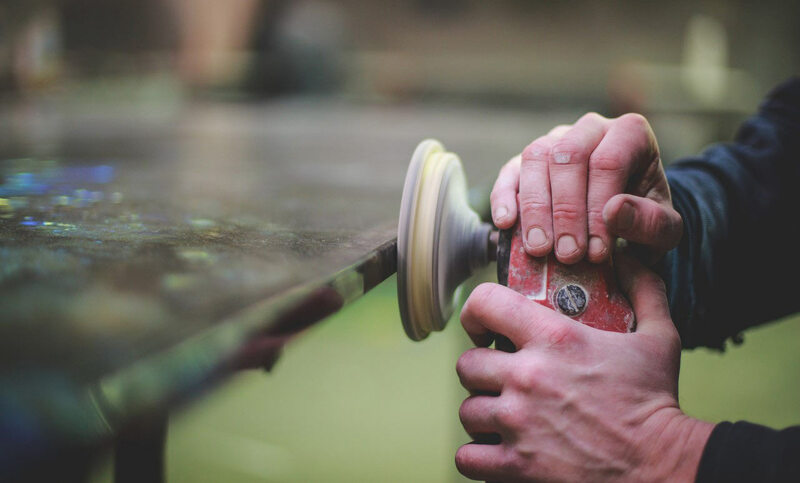 You can choose the exact details that make up your worktop from finish (from matte to a mirror polish) through edge detail (round, square, or half a dozen other options) to shape. We cut each worktop individually, so if you want a rounded end to your breakfast bar, a sort of irregular swoop to make the most of a small space or off-cuts turned into shelves, we can do it. Granite is tough as rock, and it’s also heavy as, well, a large rock. We personally deliver our finished granite worktops ready for installation as they need to be transported appropriately in vans which have been altered to fit the heavy load. Delivery is the first step in the installation itself, and we expect to deliver the worktop directly into the room where it will be installed and install it either straight away or the same day. Once your granite worktop has been delivered, our expert team will install it for you. This will include moving the worktop into place, ensuring that there’s a perfect fit. All our granite worktops will have been sealed and polished before leaving our factory. Our installation teams will close any seams between slabs and ensure that the worktop is properly anchored. Your new granite worktop is now ready to use!